My kids love the Aussie kids' troupe The Wiggles. We've taken Isabelle to see the group a few times already, and this weekend will be Madeline's first concert in Toronto. 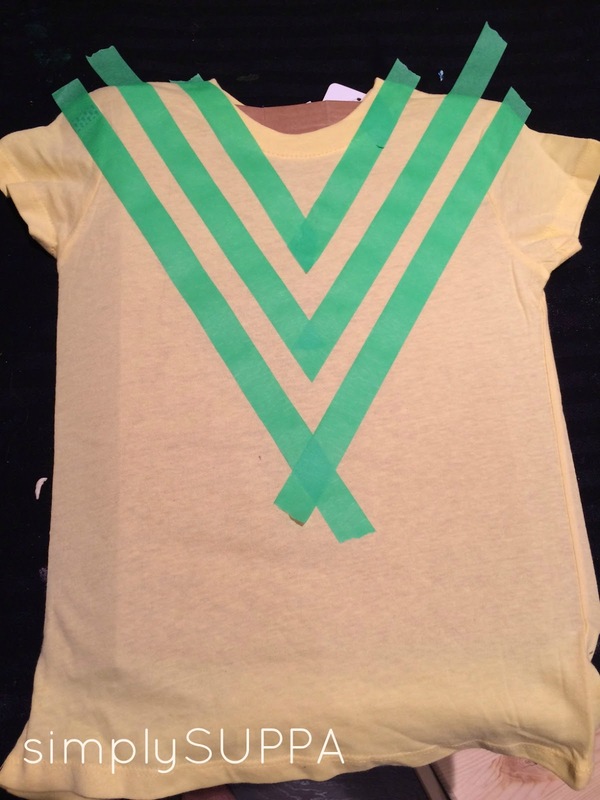 Last year, I made a VERY SIMPLE DIY Wiggles Tee for Isabelle to wear to the show, so I thought I'd share it with you. Isabelle's favourite Wiggle is Emma, of course, so the first task was to find a plain yellow tshirt. I actually scored this one at Dollarama for 2 bucks. Rest the shirt on top of a piece of cardboard so it doesn't stick together. Using painter's tape, tape off three Vs. Then it's time to paint. 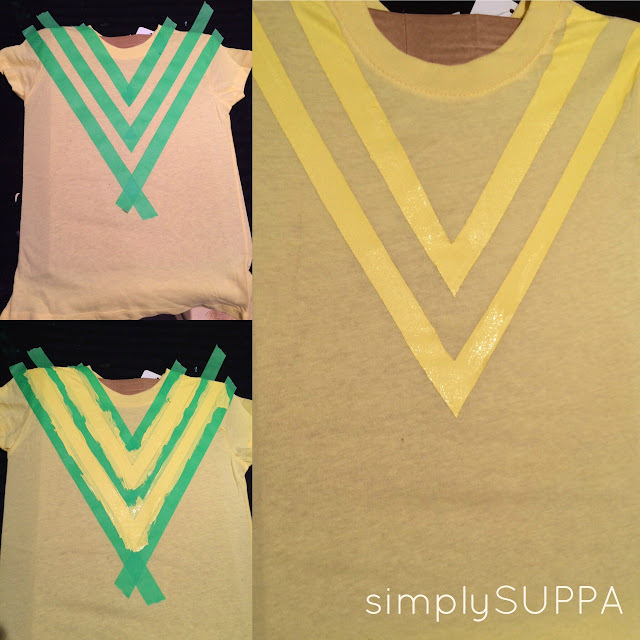 Using an acrylic or fabric paint and a foam brush, paint in between the lines. To get the Wiggles effect, paint tone on tone -- ie. yellow paint on a yellow shirt, blue paint on blue shirt, purple paint on purple shirt. 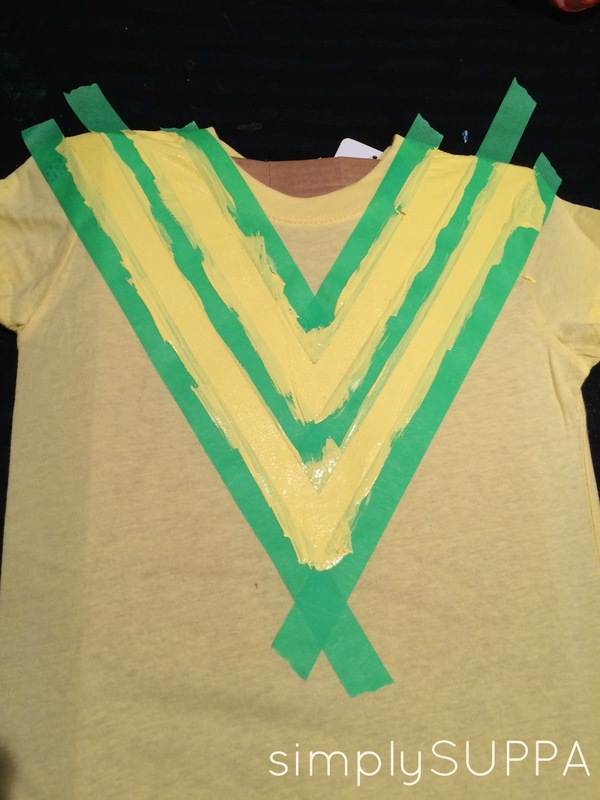 Allow the paint to fully dry (overnight is best) before removing the tape. There you have it! Your kids will love it! Of course, you can do this for any of The Wiggles characters -- just pair with black bottoms and you have an easy and affordable costume! Guess what I'm doing tonight?! If you're headed to see The Wiggles soon, enjoy the show! I know we will!